It is with great sadness that the family of Lauren Marie Holton announces her passing following a brief illness on Monday December 3rd, 2018 at the age of 28. Lauren will be forever remembered and missed by her parents, Marcia & Troy (Daren) Holton and her siblings Katie (Drew) Holton, Ben (Lexi) Holton and Jenna (Kendall) Holton. She will also be remembered by her nephews Noah, Asa, Greyson and niece Hadley, her aunts, uncles, cousins and dear friends. She was preceded in death by her grandparents, Carolyn And Charles May, Terry Holton and her uncle Mark May. Lauren was full of life and always had a smile on her face. She never met a stranger-Lauren simply knew everyone. She had a heart of gold and she loved nothing more than her niece and nephews. 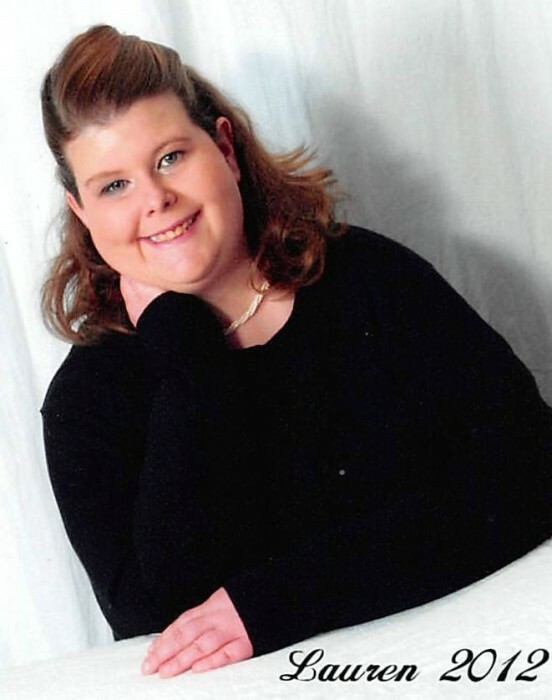 Lauren was a die-hard Buckeyes fan, a WWE wrestling enthusiast and loved spending time with her people. Her impact on the lives of everyone she met was incredible. She will be sadly missed by all. A celebration of Lauren’s life will be held at 11:00 am on Friday, December 7, 2018 in the FAWCETT OLIVER GLASS AND PALMER FUNERAL HOME with Pastor Jeremy Beverly officiating. The family will receive friends at the funeral home from 5:00 to 8:00 pm on Thursday. Memorial contributions may be made to Ross County Special Olympics, Post Office Box 242, Richmond Dale, OH 45673.